Yesterday was a big day for Elon Musk and his space launch services company SpaceX. On April 9, 2016, SpaceX launched its Falcon 9 rocket from Cape Canaveral. The rocket was topped with the company’s Dragon capsule, filled with 7,000 pounds of supplies destined for the International Space Station. Included in the payload was the 3,100 pound Bigelow Expandable Activity Module (BEAM), Bigelow Aerospace’s attempt to demonstrate its expandable space habitats. 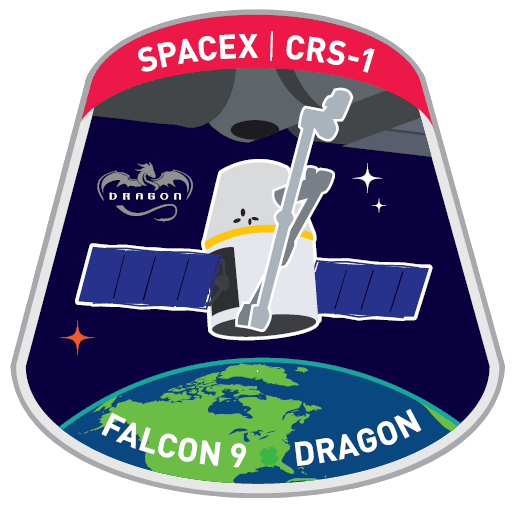 The highlight of the mission, designated CRS-8, was SpaceX’s first successful landing of its Falcon 9 rocket on a droneship (christened “Of Course I Still Love You”) in the Atlantic Ocean. This feat is something SpaceX had tried and failed four times previously. SpaceX has successfully landed its Falcon 9 on land, but that challenge paled in comparison to a landing on a barge being tossed around by Atlantic currents. SpaceX has put a huge emphasis on making its programs efficient and reusable. Their hope is that their methods will drive down the costs of putting people and equipment into orbit and beyond, and make launches much more common. Friday’s successful landing of the Falcon 9 was a huge step in that direction. All in all, Friday’s success should serve as an important milestone in space exploration. It also highlights the ever increasing transfer of space access from governments to commercial industries. Check out the amazing video below, of the Falcon 9 landing on ‘Of Course I Still Love You’. Dragon will arrive at the ISS tomorrow, April 10. As I mentioned yesterday, the private corporation SpaceX successfully launched its Dragon capsule en route to the International Space Station, on the first Commercial Resupply Services contract ever. I watched the video live and didn’t immediately notice any issues but, come to find out, the Falcon launch vehicle lost one of its engines on the way to orbit. Not to worry, however, as the other engines stepped up and compensated for the failure. The Dragon spacecraft is on its way to the International Space Station this morning and is performing nominally following the launch of the SpaceX CRS-1 official cargo resupply mission from Cape Canaveral, Florida at 8:35PM ET Sunday, October 7, 2012. Approximately one minute and 19 seconds into last night’s launch, the Falcon 9 rocket detected an anomaly on one first stage engine. Initial data suggests that one of the rocket’s nine Merlin engines, Engine 1, lost pressure suddenly and an engine shutdown command was issued. We know the engine did not explode, because we continued to receive data from it. Panels designed to relieve pressure within the engine bay were ejected to protect the stage and other engines. Our review of flight data indicates that neither the rocket stage nor any of the other eight engines were negatively affected by this event. As designed, the flight computer then recomputed a new ascent profile in real time to ensure Dragon’s entry into orbit for subsequent rendezvous and berthing with the ISS. This was achieved, and there was no effect on Dragon or the cargo resupply mission. Falcon 9 did exactly what it was designed to do. Like the Saturn V (which experienced engine loss on two flights) and modern airliners, Falcon 9 is designed to handle an engine out situation and still complete its mission. No other rocket currently flying has this ability. It is worth noting that Falcon 9 shuts down two of its engines to limit acceleration to 5 g’s even on a fully nominal flight. The rocket could therefore have lost another engine and still completed its mission. Dragon is expected to dock with the ISS on Wednesday. Or, “This time, for real”. Back in May, SpaceX launched it’s Dragon capsule on top of their Falcon 9 rocket, on an intercept course with the International Space Station. This was a test to prove that SpaceX could take over the resupply of the ISS, as space becomes a commercial frontier. The test went perfectly and SpaceX was green-lighted as a contractor to deliver cargo to the ISS. Tonight, the Dragon capsule screamed into the sky as part of the first of these Commercial Resupply Contract deliveries. Launch occurred right on schedule, and from the best I could tell watching the live webstream everything went flawlessly. A few minutes after launch, the Dragon capsule separated and reached orbit. Shortly after that, it deployed its solar arrays and will now cruise its way to the ISS. This mission carries a full load of supplies for the station, but won’t be leaving empty; Dragon will be returning nearly 2,000 pounds (approximately twice the payload going up!) of equipment, astronaut blood and urine samples, and other items. Dragon is set to dock with the ISS on Wednesday, again through the use of the station’s massive robotic arm as it was during the May trip. Next earliest launch attempt will be Tuesday morning (May 22) at 3:44am (EST).